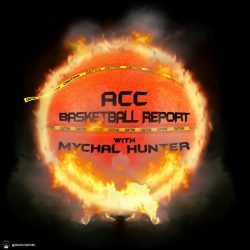 Today I talk about the ACC’s propal for NCAA tournament expansion. I talk about Josh Okogie’s decision to go pro and why it was the correct one, the player I would avoid, my top 10 pick bust, my sleeper and my favorite BBQ joint. #ACCBR with the name of the intro song and tag me for a some ACCBR stickers. Previous PostPrevious Kevin Keatts has assembled a Pack of apex predators.